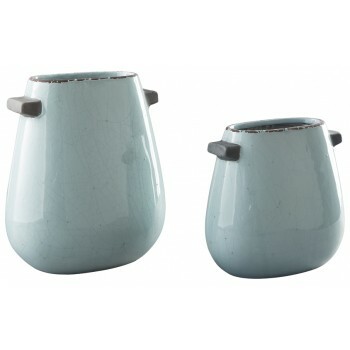 Soft and blue is this 2-piece vase set. Texture glazed finish entices with a visually appealing aesthetic. Whether showcased on its own or with florals, it adds a fresh perspective to your home.